While EU powers have rushed to join Britain in condemning Russia over spy poisoning, Turkey has been much more circumspect. 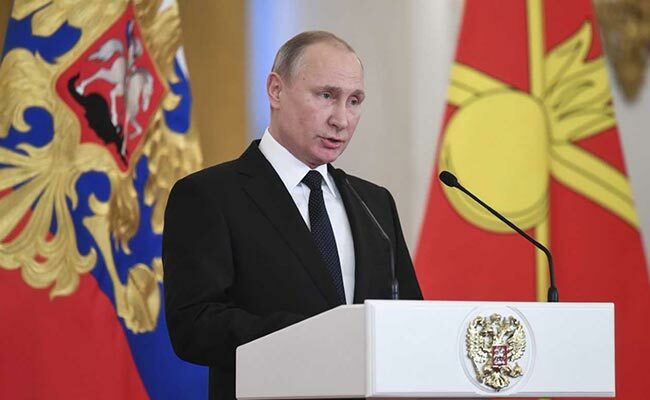 Ankara, Turkey: Russian President Vladimir Putin on Tuesday expressed hope a meeting of the world's chemical weapons watchdog would put a "full stop" to the issue of an ex-spy whose poisoning in Britain has been blamed on Moscow. "We hope that during those discussions a full stop will be placed on (the issue of) what happened" to former spy Sergei Skripal," Putin said in Ankara ahead of the meeting on Wednesday of the Organisation for the Prohibition of Chemical Weapons (OPCW). The OPCW said Russia had asked for the meeting but London has already accused Moscow of requesting the OPCW talks as a "diversionary tactic". Putin said he had been informed of comments earlier Tuesday by the British military facility analysing the nerve agent used to poison Skripal that it could not prove the substance was made in Russia. "Concerning this, it is above all surprising the speed with which an anti-Russian campaign was begun," commented Putin after talks with Turkish President Recep Tayyip Erdogan. He argued that experts have said that such nerve agents could have been made in some 20 countries. Putin reaffirmed that Russia wanted to take part in the investigation, noting that the victims of the poisoning -- Skripal and his daughter Yulia -- were both Russian nationals. "We have an interest in a full investigation and want Russia to be allowed to take part in that investigation," he said. Erdogan, who in 2017 held eight face-to-face meetings with Putin, has said that Ankara will not act against Moscow "based on an allegation".